With the holidays just around the corner, now is the time to finish up your gift shopping list. But what do you give the family member or friend who loves boating? If you’re stumped by this question, take a look at ten items that make thoughtful gifts for the boater in your life. We’ve included gifts for every price range from $5 to $5000. Let the gift brainstorming begin! While simple and inexpensive, keychains make a great gift because they allow your loved one to customize their boat keys while also making them easier to find and identify. Look for a keychain that reflects your loved one’s passion for boating. For instance, you could get a keychain in the shape of a lobster, a shark or an anchor. These are also multipurpose, with bottle openers or corkscrews built in! Another practical gift idea, an insulated coffee mug or tumbler makes those chilly boating rides at the crack of dawn more enjoyable. Many tumblers also keep drinks cold, so boaters can get plenty of use out of them throughout the day. If you like, you can also personalize it by throwing in your loved one’s favorite coffee or hot chocolate mix. Your loved one will need a place to store their phone, wallet, and other sensitive documents while out on the water. A dry bag is a convenient option that can easily fit several small items. Dry bags are typically made of a type of waterproofed plastic, and when closed, they form a watertight seal. A first-aid kit might not be the most exciting gift or as easy to personalize as a mug or hat, but every boater should have one on their vessel. Show your loved one you care about their health and safety by putting together a basic first-aid kit. Include an assortment of bandages, antiseptic ointment, pain relievers, sunblock, and aloe vera. Alternatively, you can buy a pre-assembled first-aid kit. Binoculars should be considered an essential piece of safety equipment on the boat. They should also be a part of every fisherman’s kit. A brand-new pair of binoculars could make a thoughtful gift. Give the gift of music. Many boating stereo’s now wirelessly link to the Bluetooth on your phone so you can listen to your iTunes or Pandora account while on the boat. Be sure to only purchase a marine stereo, as inexpensive car stereo’s do not have coated circuit boards to resist corrosion and may not last a full season. If you’re looking for a gift that’s more exciting than practical, a tube is a wonderful choice. Tubes come in a variety of sizes, shapes, and colors. You can find single tubes, fourperson tubes, and even tubes in the shape of a duck! This is a gift that your loved one and their whole family can enjoy. Consider giving the gift of fitness and health. Both inflatable and rigid paddleboards are extremely durable and will last for many years. Paddleboards are great for cruising around the shore, doing yoga, and fishing. Your boating friend or family member can even pull a paddleboard behind the boat like a wakeboard. If you really want to wow your loved one this holiday, a high-tech chartplotter is the way to do it. These handy devices are equipped with a GPS and help boaters create maps for fishing, detect objects under the boat, and spot tides and currents. And that only scratches the surface of what a chartplotter can do. An inflatable boat can be a great gift. 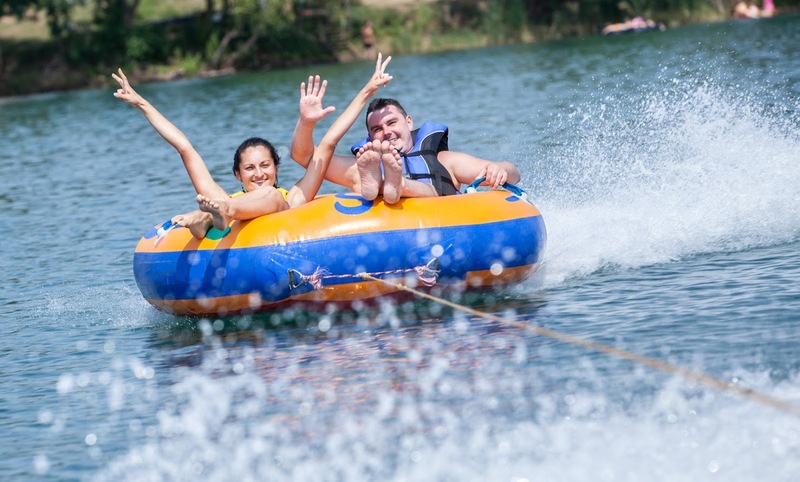 Whether a tender to the bigger boat, or a great way to get started with your first boat, inflatables are always fun. This is also a great first boat for the kids, fun and entertaining and easy to use. For more gift ideas for boaters, stop by our marine shop at Petzold’s Marine Center in Portland, Connecticut.